For a visit to the Red House you may require a designated driver who doesn't mind driving out into the sticks - but it will be worth the trek. Located in the attractive hamlet of Marsh Benham within the Kennet Valley, this charming hidden gem can be easily reached by the A4 and is only an hour and a half away from central London, making it ideal for a brief escape from the capital. 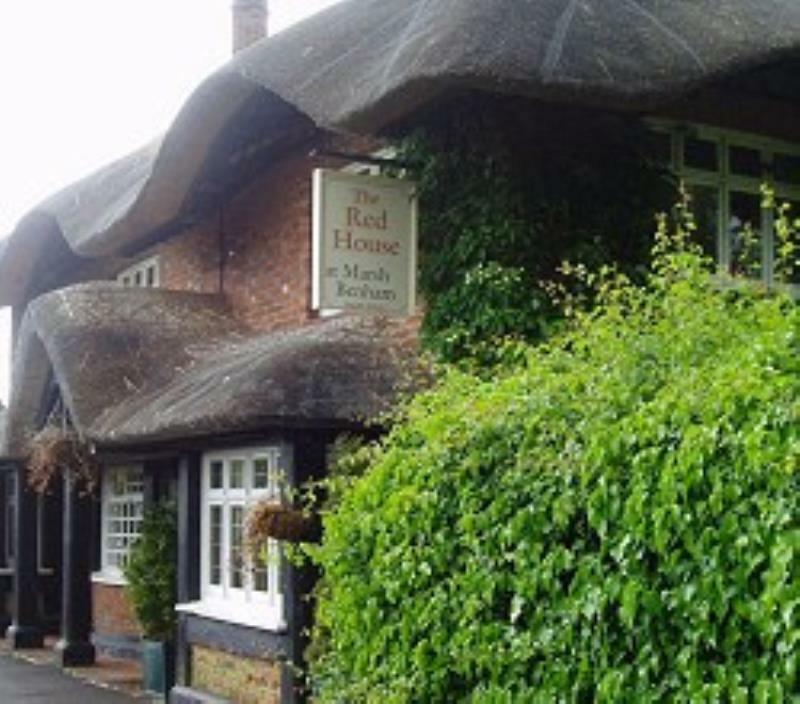 For the past century this red-brick house topped with six chimneys and a thatched roof has existed as a public house. Today, it offers a diverse range of exciting modern dishes under the direction of experienced French chef/patron Laurent Lebeau. Seasonal menus may kick off with goat's cheese soufflé with hazelnut crumbs or maybe choose the pulled Pig trotters and ham hock, mustard on crunchy buttery toast. Main courses take in 28 day matured grain fed beef served with fresh chips, sautéed mushrooms and grilled tomato together with your choice of flavoured butters or for fish lovers there's crispy skin sea bass fillet, spicy broccoli and mussel broth. Desserts are equally inviting ideas like Bramley apple and blackberry crumble paired with vanilla sauce or a lemon and treacle tart, Eton mess ice cream. There's a well thought out wine list to complement the dishes with French varietals dominating the offerings. 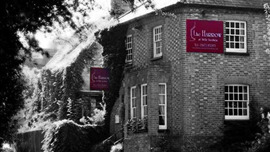 To the western side of the pub guests can enjoy the splendid alfresco terrace with teak furniture overlooking the pastoral beauty of the Berkshire countryside. The Red House often host events and presentations throughout the year. They are happy to cater for special occasions. homemade oat biscuits or bread.